Looking for Carpet Cleaners in Minneapolis? You’ve come to the right place! Advanced Carpet Restoration services the entire metro area and offers a wide variety of services. Whether you are looking to get your annual carpet cleaning, your carpet restretched, or even upholstery cleaned, the trained professionals at ACR know how to get the job done right. With over 50 years of experience as Carpet Cleaners in Minneapolis, we have worked on the most serious carpet stains and high traffic restoration projects, and all with great results! Consider restoration before spending a fortune on getting brand new carpets. Our process for carpet restoration involves a combination of various high-quality, non-toxic chemicals and deep scrubbing. 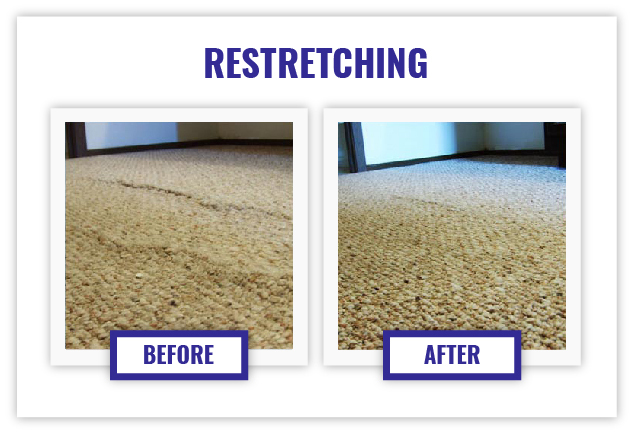 This process often provides a significant, if not complete, improvement to your carpet – saving you money! Do you have pets or children? It is recommended that you have you carpets cleaned by a professional once every 6 months, instead of once a year. Pet urine is especially harmful to carpets, and you may not even always realize when your pet has had an accident. The moisture in pet urine can weaken the layers of carpet resulting in separation of the backing. If left untreated cushions and subfloors could receive damage as well. We never use any soap or shampoo when cleaning your carpets, meaning there is no residue left behind. We use high-pressure hot water with a preconditioning solvent and a high vacuum lift to get your carpets looking and smelling like new. Our technicians have combined experience of over 70 years and have the knowledge to help with any carpet or upholstery situation. Please give us a call at 612-825-9797 with any questions you may have or to book an appointment. We look forward to serving you!